Happy Friday ladies! We made it! It's time for another round of Nordstrom Anniversary Sale picks! This week, let's talk 5 Shoe + Accessory Items on the Nordstrom Anniversary Sale I have heart eyes over. If you missed last week's round, it included 5 items on the Sale I already own and love. Some of the reviews on this week's items are a bit dicey, but unless they are just awful, I tend to still try them out myself before making a judgement on them, especially when it comes to shoes/accessories. 1. 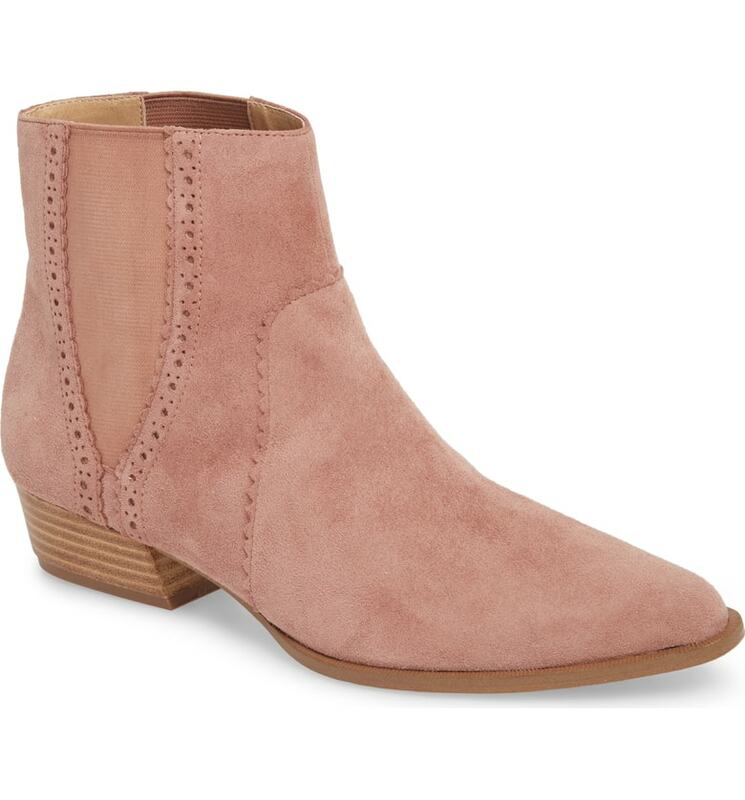 JOE's Mica Chelsea Bootie. Pointy toe bootie perfection. Comes in Rose Suede and Space Cadet Suede. Allllll about that Rose Suede life. $139.95 Regular // $89.90 on the Sale. HEART EYEEEES. 2. Kate Spade New York Celestial Stud Earrings. Because I love jewelry that doesn't perfectly match, I'll be on the Star trend train for like 5 years past it's prime, and these make me happy. They would make a fun gift too! $44.00 Regular // $28.90 on the Sale. 3. Cathy's Concepts Personalized Faux Leather Clutch. Ummmm, hi cuteness! Talk about a good gift. The reviews on these are good too. 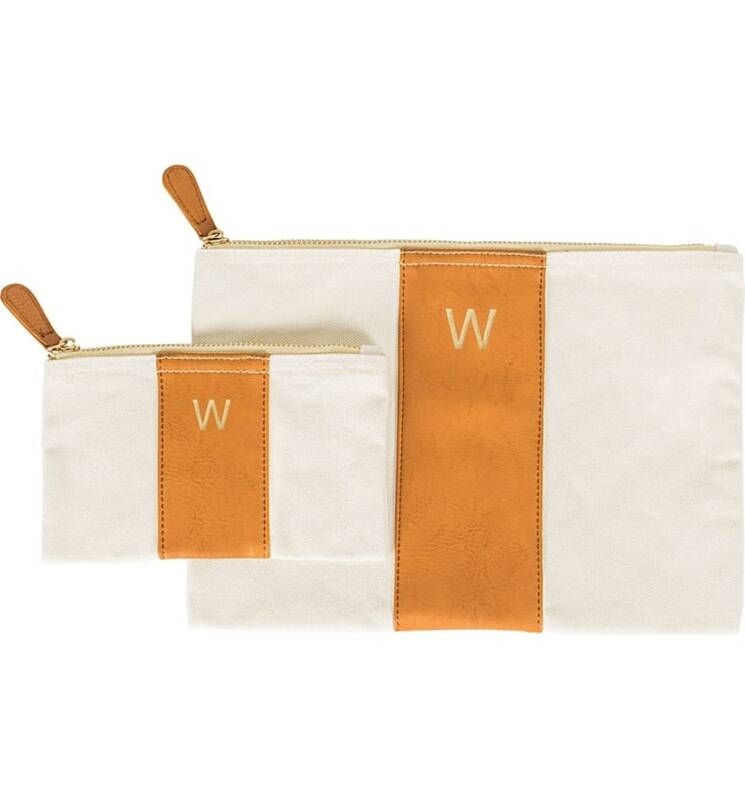 Canvas clutch with a pop of color and a monogram. *Sigh. * $39.00 Regular // $25.90 on the Sale. 4. Kristin Cavallari Lash Split Shaft Bootie. Because I love KC, and think she has fabulous taste in her shoe line, as well as her more recently launched Uncommon James. She's had variations of a peep toe bootie for years, and this might be the year I have to give them a try. And in this color. Loooove. $159.95 Regular // $99.90 on the Sale. 5. Madewell Mini Transport Perforated Leather Crossbody Bag. I've owned a Madewell Transport Tote in the past and loved it, but I am loving the mini with the perforation. So cute! And the linen color. These don't usually go on too huge of a sale, similar to the KC heels above, so take advantage! Regular $168.00 // $109.90 on the Sale. Shop these 5 below on the #NordstromAnniversarySale! Do y'all love any of these products too? Do you have any reviews on them? I'd love to hear. What do you think? Check back next week for the next round of #NSale picks. And don't forget, the Sale only lasts until August 5th - Prices go up August 6th!